I just wanted to share this moment with you…tasting my Orange Chardonnay Wine (yeap just discovered this wine and it is delicious!!!) 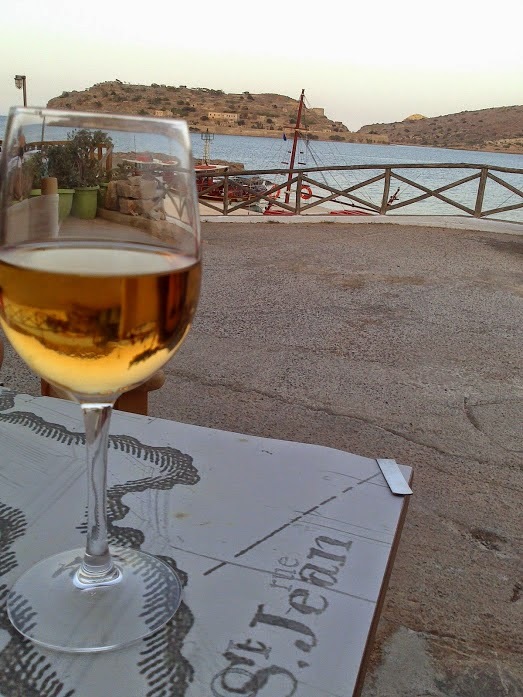 in front of Spinalonga island this beautiful and pieceful afternoon. Still it’s hot but I love this time of the day and I do enjoy it when the weather is calm without wind. So have a glass of your favorite wine or juice or drink and relax! Life is full of simple but beautiful moments!